A Graphic Designer in the American Midwest. An IWG member and author/publisher of bizarre, humor and horror based graphic novels. Downtown Comics North in Castleton and West. Local Book@Downtown Comics in Castleton! Downtown Comics North in Castleton has Roaches! Big ones! Books that is. 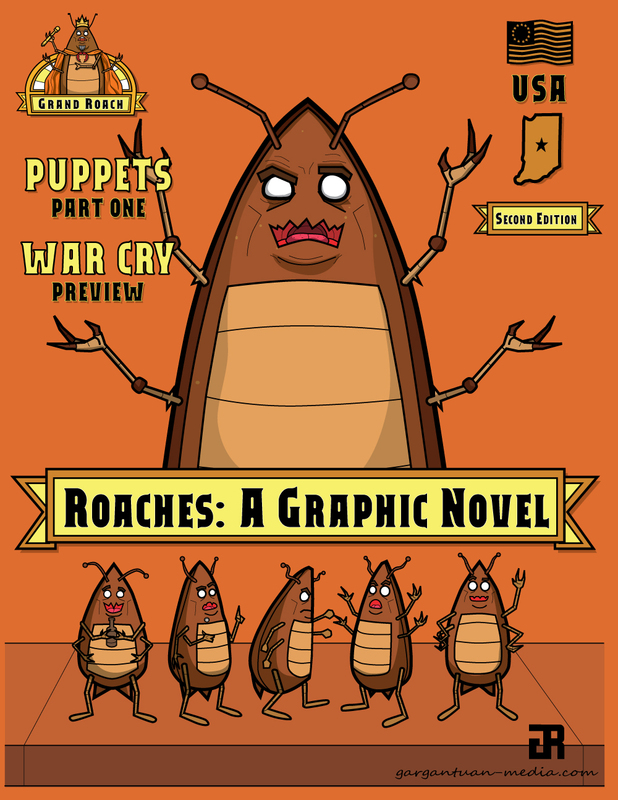 This three-part book, with glorious black-and-white illustrations including War Cry and Puppets has been released as a 1st edition in an over-size magazine 8.5x11 format.